We’ve all felt it. The chills running down your spine as soon as the music starts. Your heart rate increasing as your eyes open wide to look upon nature’s beauty. Suddenly feeling flushed after participating in a random act of kindness. Yes – when all the right stuff adds up, your body’s own endorphins will release a powerful feel-good chemical that hits the brain in all the right ways. That, my friends, is a natural high. Admit it. You’ve felt those goosebumps on your skin as soon your favorite band hits the stage. A 1991 study of professional musicians and non-musicians says that these moments, characterized by dramatic builds and changes in the songs we love most, are actually intense, often emotionally driven processes happening in our brains. 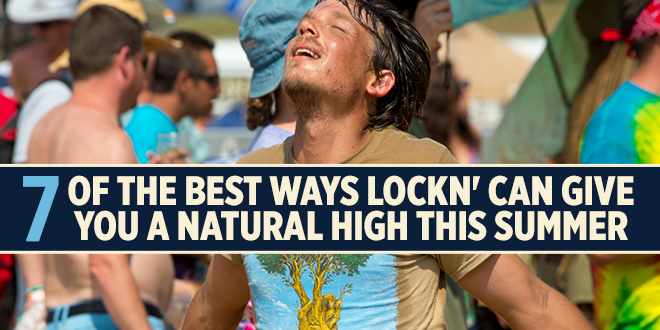 Luckily for us, the music never stops at LOCKN’, so that natural high will keep you going all four days! From Keller Williams’ Grateful Gospel in the early morning, to raging late-night Joe Russo’s Almost Dead sets, the music at LOCKN’ will induce goosebumps all weekend long. 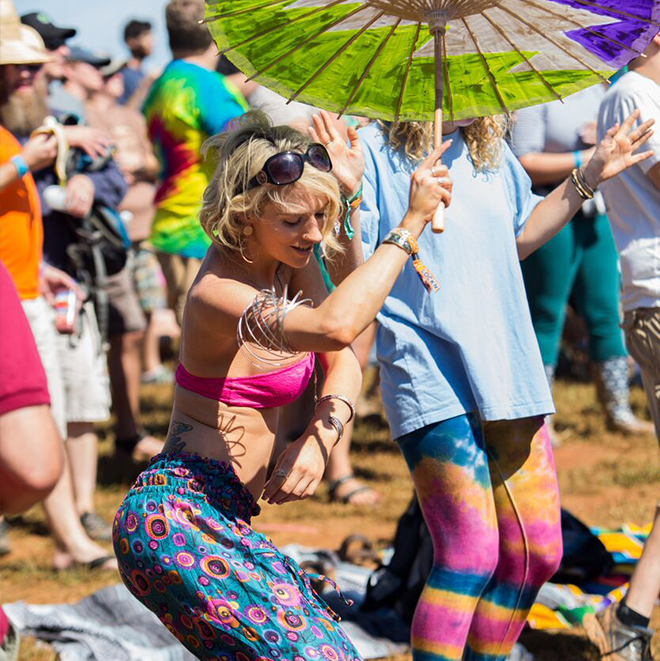 Since the music never stops at LOCKN’, the dancing doesn’t have to either. Psychology Today has shown that dancing can deliver an immediate surge of the “feel good” chemical called serotonin right to the brain. 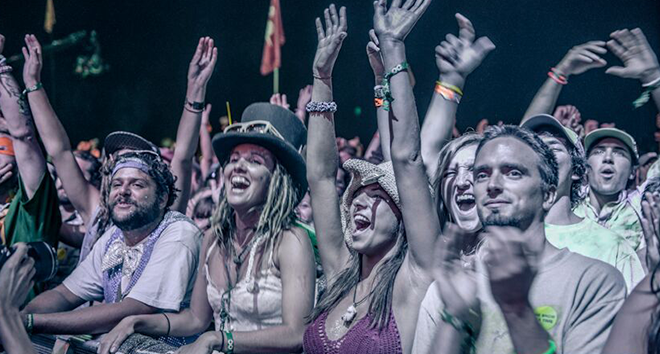 What better setting than LOCKN’ to get this kick than with other like-minded music lovers? According to an article by the Harvard Mahoney Neuroscience Institute, the social interaction component of dancing supercharges neural connections in the brain, improving cognitive skills, but also giving an awesome natural high. If your itch to keep on grooving survives the live performances during the day, LOCKN’ offers a stellar Late Night Jerry Dance Party in the Garcia’s Forest. Nature is the ultimate stress reliever. We can feel its effects an instinctual level, but psychologist Rachel Kaplan, PhD can support the claim. A study by cognitive psychologist at the University of Utah shows that simply being in the presence of nature can reduce levels of cortisol, the brain chemical associated with stress. 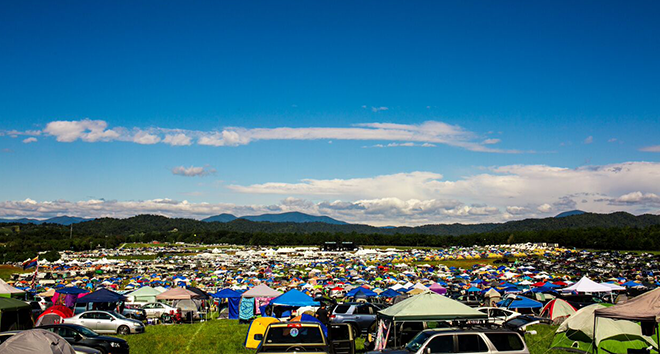 LOCKN’ makes its home in the breathtaking country surrounding the Blue Ridge Mountains and running alongside the Tye River. The study also shows that being surrounded by open, beautiful scenery such as this, can enhance parasympathetic nerve activity, the part of the brain that increases with relaxation. 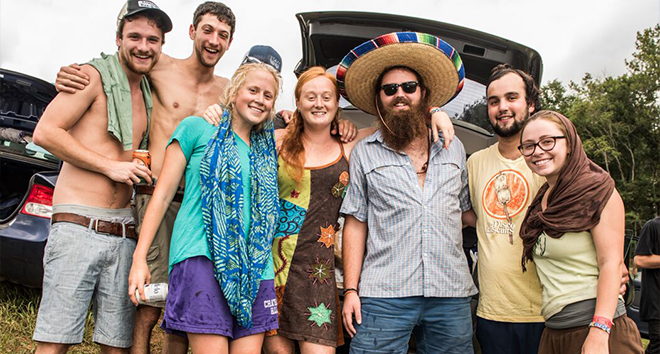 The most exhilarating natural high comes from the adrenaline rush of outdoor sports and activities, and LOCKN’ has paired up with some great local organizations that can guide you on whatever killer adventure suits your fancy. 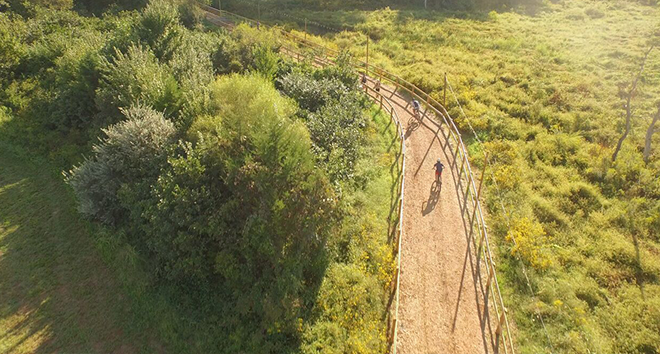 From hiking the beautiful cascades of the Crabtree Falls trail, mountain biking its rougher terrain, or tubing the Tye River, you can be participating in outdoor activities before and after your musical adventures. A research study by The Peninsula College of Medicine and Dentistry will tell us that outdoor activity doesn’t just benefit us physically, but mentally too. The best part about music festivals is meeting all kinds of people and forming lifelong friendships with those who were strangers a moment before. Your brain especially loves this part. Research by brainHQ shows that there’s an incredible amount of crazy brain activity going on during the organic experience of meeting new people. Nobody can vouch for this truth more than the ever-growing LOCKN’ Family, the community at the heart of the festival that you can feel the moment you step on the grounds. Michael Steger, a psychologist at the University of Louisville in Kentucky proved that doing good for others makes you a happier person. If you have a desire to give back to that community, there’s a particularly potent natural high in it for you. As you’ve probably experienced before, your brain can get a serious dose of dopamine from that amazing feeling of helping others. 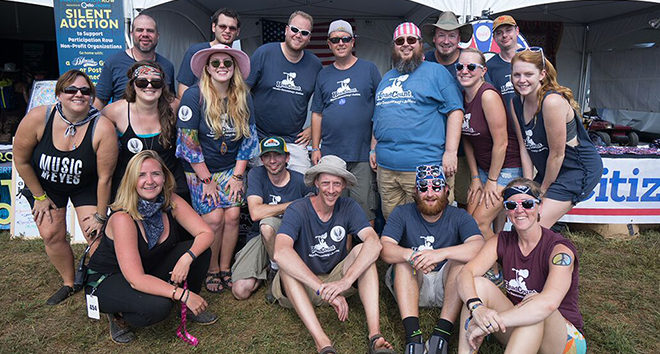 Participation Row at LOCKN’ brings a number of charitable organizations together, from HeadCount, to Habitat for Humanity, to Appalachian Voices, that you can meet, join, and volunteer with. You feel good, the greater community benefits, and your natural high will keep you smiling all day long. If you’re ready to dance non-stop, you might want to consider eating non-stop for some energy! 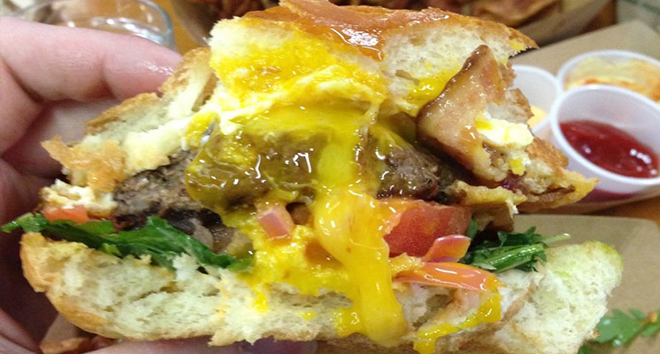 We probably don’t have to convince you that gorging on your favorite, insatiable foods makes for a wonderful natural high. An article by Dartmouth Undergraduate Journal of Science shows that eating healthy foods like fresh vegetables and succulent meats provides not only a ton of important nutrients, but also feel-good brain chemicals. LOCKN’ has you covered here, too. Take a stroll through the Local’s Tent, and try a huge array of organic, farm-to-table foods made by the area’s best and most supportive groups.